FORECAST 2017: Live, Work, Play: What’s next for Midtown? The City of Plant City plans to bring in a developer to begin Midtown’s redevelopment in 2017. In 2017, all eyes will be on Plant City’s long-awaited Midtown redevelopment project. The City of Plant City announced in December 2016 that its Community Redevelopment Agency issued a Request for Qualifications, or RFQ, for development. Sixty potential developers were invited to attend a Wednesday, Jan. 11, meeting. Later this year, one developer will be chosen to take on the 15-acre project. 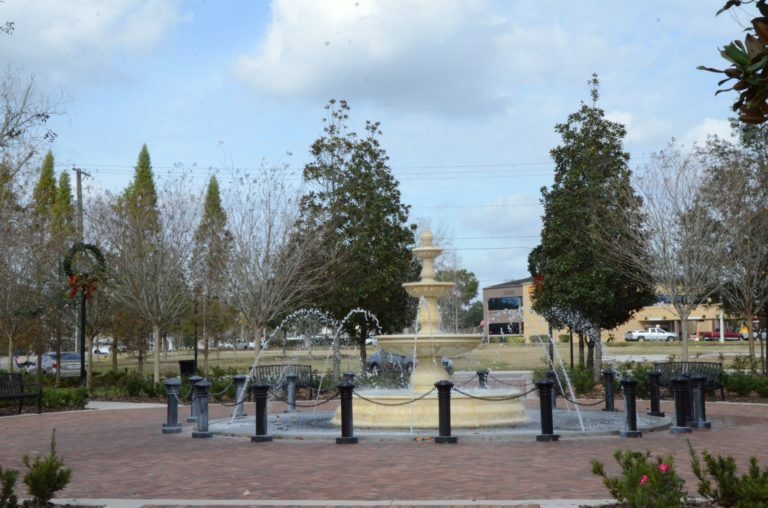 The City of Plant City has invested $4.5 million into preparations for redevelopment. According to Herr, procurement of services is a two-step process. The first step is to evaluate RFQ responses and identify suitable developers. The second step, which will soon be underway, is to narrow the search down to 10 or fewer candidates for the job and recommend them to the CRA board. Herr said that the goal is to identify the best candidate and begin negotiations by June of this year, with construction to start shortly afterward. Negotiations are expected to take three to six months to complete. The chosen candidate will be the one that submits a proposal with what Herr called the best fit for Plant City: a blend of residential, commercial and retail assets with a family-friendly touch. Among the things Herr and the City of Plant City hope to make clear to developers is that the city is committed to making Midtown happen. As part of its goal to attract the right company to Midtown, the City has worked to make the permit and development process easier for the future developer. Improvements have been made to benefit residents as well, including aesthetic enhancements in Midtown and improvements to area roads. Besides the addition of Village Green Park, which Herr said was created to be a ‘focal point’ for Midtown, developers may be attracted to the City’s improved streets. Wheeler Street was realigned to improve traffic flow and safety for pedestrians and bicyclists. The City also received a $165,000 grant to construct quiet zones along nearby railroads, and a $700,000 grant to enhance roads from Laura Street to Alabama Street. The nearby I-4 corridor is also a selling point, with quick access to major cities in surrounding areas. Herr said that the City’s Historic Downtown District — which welcomed multiple new businesses and regular events in 2016 — could play a large part in Midtown’s redevelopment. The City of Plant City will allow the private sector to conduct market research, though it has already done its own within a five-mile radius on the Midtown area. The City’s study, which covered 2016 and made estimates for 2021, estimated that the area’s current population of 65,384 should jump to around 72,916 within the next four years, creating a potential need for a residential area. “I think Midtown is just the place for young professionals to make an investment and be successful,” Herr said. Festivals and events held by the Greater Plant City Chamber of Commerce and other local groups play a part, too. When Midtown becomes a reality, it’s likely to be a popular spot to hold events, both ongoing and new. “I think all of that meshes very well together with Midtown,” Herr said. The RFQ pre-proposal meeting will begin at 2 p.m. Wednesday, Jan. 11, and will be held at City Hall, 302 W. Reynolds St. There, developers will get to see just how committed Herr and the City of Plant City are to getting the project started.